I come from a long line of dessert lovers. Which explains why at Thanksgiving our dessert selection usually consists of no less than six or seven different choices. 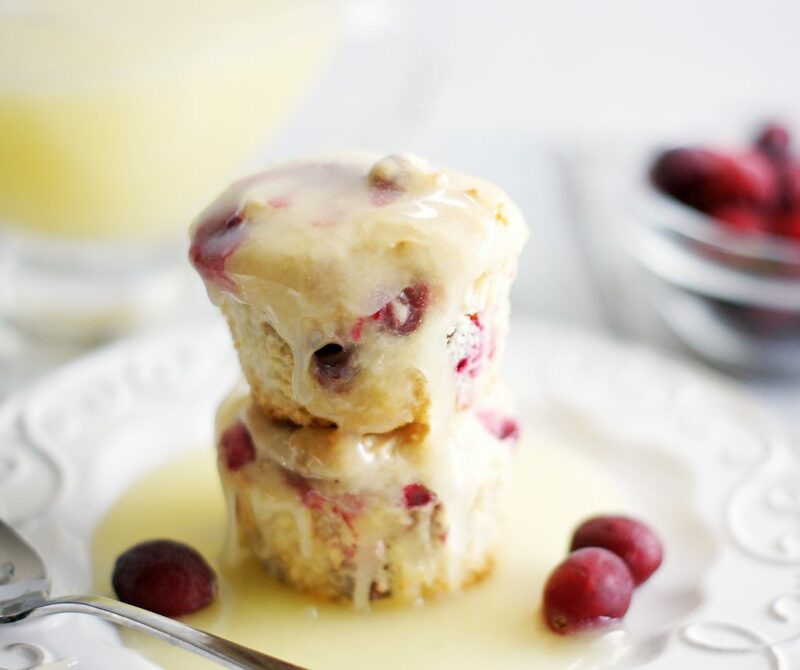 While there is always two or three new ones to try, there is always pumpkin pie and these cranberry muffins. I’m not even sure where to begin about these muffins other than to say you really, really need to make these for Thanksgiving. These have been part of our Thanksgiving dessert spread for as long as I can remember. Let me try and explain this dessert . . . A delicious, slightly tart, not too sweet muffin drenched in a delectable butter sauce. Have I got your attention? I’m going to be honest though, it’s all about the butter sauce. . . it’s sinful, pornagraphic, divine, etc. The joke in my family is that we have a little muffin with our butter sauce (the picture is slightly telling Ü) Most of us have been caught licking our plates, eating it by the spoonful and/or drinking this stuff. I cross my heart and pinky promise that you will absolutely love this dessert, if you don’t then I think you might just need to have your taste buds examined. Line a 12-cup muffin tin with liners. Preheat oven to 350 degrees. In a medium bowl, cream butter and sugar. Add milk, flour, baking powder and salt. Fold in the cranberries. Bake at 350 degrees for 30 minutes or until muffins are golden brown and a toothpick inserted comes out clean. While muffins are baking make the sauce by combining butter, sugar and whipping cream in a medium-size saucepan. Stir over medium heat until mixture begins to boil. Remove from heat and stir in vanilla. Serve warm over cranberry muffins. Take my advice and double or triple the butter sauce recipe, a single batch just doesn't make enough to sustain my family's addiction to this stuff. Even if you have some left after the muffins are gone, you can pretty much put this sauce on anything, which some of us have been known to do. Sometimes I throw in a small extra handful of cranberries just because I love the tartness in the muffins. Thanksgiving would not be Thanksgiving without these muffins! While my son was on his mission in Argentina they are one of the things he missed most about being home for the holidays! I made them for a church Christmas dinner last year and think everyone there asked for the recipe. I promise, they will not disappoint! I gotta say, you had me at butter sauce!! Thanks for linking up with What’s Cookin’ Wednesday!